Are you looking for the best WordPress CDN services for your website? the CDN Service that can reduce the page loading time of your website, that can cache your content in your nearby geographical location, can reduce data load on your hosting server. Then you should need a good CDN services provider, that must reliable, comparatively in range and can easily speed up your website to make it more accessible and may increase its SERPS. You are at the right place to choose the best WordPress CDN Services providers. Before going towards the detailed comparison of the best WordPress CDN Services for your website, first of all, Let’s see what is CDN, why we need it and How it works. CDN or content delivery network is the bunch of data servers that are located geographically across the world in different regions. The purpose of these servers is to provide the cache of your static files for your website users from its nearby location. For most of the bloggers, shared hosting is their prime preference. Although there is a list of some good web hosting services providers, or even in the case of the dedicated host, the only data source is the web hosting servers. So, due to heavy visitor traffic or data communication between the website and the web server, the website performance may effect by increasing its loading time. That alternatively, may decrease its rankings and decrease its conversions. Normally, our WordPress hosting company serves our website from a single server. It means all the core data, static files including images and videos are served from that server. So when a user visits the website, then required information are fetched from our hosting servers. Imagine if we have a lot of traffic, then each and every visitor will engage the server and as a result, there may be a huge load on the server. alternatively, it may slow down our website. During the peak traffic hours, the situation may become more critical and even in some cases your server may be crashed, and resultantly, your website is off for sometimes, that may be a loss of traffic and conversions. But in the case of a Content Delivery Network, most of the static data is hosted from them from their nearest server and so pages served to them more quickly and effectively. Which will save bandwidth of our WordPress hosting server? So, that’s why a CDN Services for your WordPress website is recommended. Let’s take a look at 5 best CDN providers for our WordPress website and what they have special for their WordPress users. I have compiled them due to their reliability and performance. MaxCDN (now it is called Stackpath) is no doubt one of the best WordPress CDN services provider of its kind. Due to its advanced cache technology enriched with fastest SSD Drives and the network of data center across the globe. It is famous and reliable for most of the website owners. The best thing about this CDN service is its easy setup with some of the best WordPress cache plugins like w3total cache, WordPress super cache or even some other known names. It has some flexible packages for beginners and even advanced level WordPress users. One can fully customize the data locations, can view reports. Moreover, its powerful control panel lets you control different cache options for your website. It should be at the No. One place. The package starts from 9$/Month. Cloudflare is the name of quality both in the field of website security from illegal access as well as a widely used CDN service for WordPress. This CDN service will make your WordPress website super fast by cache all your major content right from their globally hosted servers. The key point of this best WordPress CDN provider is the security from illegal access and DDoS attacks. Like other WordPress CDN services providers, Cloudflare does not charge for the extra amount for the bandwidth usage. You can avail their CDN services for free for the lifetime at beginner level. For more advanced services, you have to purchase their paid packages. You can upgrade to their paid plans from 20$/month. KeyCDN is another good plan for WordPress CDN services. They also have geographical servers in their subdivided regions to serve content from their WordPress CDN servers. The best part of their CDN services is “Pay as you go plan” which means you pay for what you use, along with minimum fixed payment. This is good for smaller websites but maybe not so good for those receiving heavy traffic. They also offer free SSL certificate to secure website. KeyCDN is easy to set up on WordPress websites using their own plugin and is also compatible with famous WordPress cache plugins. It will also offer CDN services for other famous platforms along with WordPress. One can try their free CDN services for a month with limited data centers. They have a powerful dashboard to display the analytics, bandwidth and amount spent. Rackspace is another good and reliable name on the list of best WordPress CDN services providers. While using this CDN service, you have the option to upload static files including images, large HD videos, and other data in multi parts and can download it as a single file. Like other Content delivery networks, it has also servers in all major parts of the world to provide data to the users from their nearby location. Starting from per GB package, they also have great plans for their valued customers. Incapsula is another and popular CDN data solution for your WordPress websites. It also has data centers in the famous countries of the world to access data from their nearest CDN server. It is capable of providing a superfast service for different needs like online stores, SaaS business or on-demand video streaming. Incapsula offers firewall, 24/7 website security from DDoS attacks, SSL and other services along with their paid CDN plans. However, free customers can avail their limited services. There is a list of CDN providers for WordPress websites, including free, trial and paid options. The above elaborated CDN providers will give you an idea that if you want that your website users access data more quickly and in a secure way. 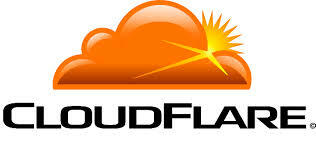 if you have small website having less traffic try Cloudflare, but for high traffic websites, MaxCDN is recommended. Do comment, if you have an idea for more WordPress CDN services providers.